For three decades, Sno-Way has been designing snow plows that have helped thousands of homeowners, small businesses, plowing contractors and municipalities remove snow more quickly and with greater efficiency. More capacity and versatility means less time plowing and more control over your business. 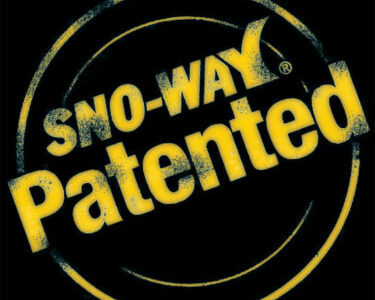 Its more than just a slogan, it is the heart and soul behind every Sno-Way product. It is the relentless pursuit to design and manufacture the most durable and efficient plows. It is what makes the Sno-Way name the strongest in the industry. 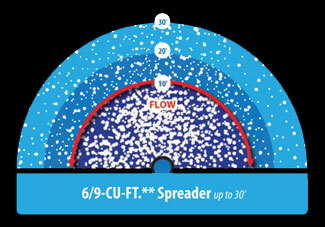 From rock salt, to flake, to free flowing, your spreading challenges are completely solved with these spreaders. Sno-Way is known for having the best spread pattern in the industry, and these units will NOT disappoint. 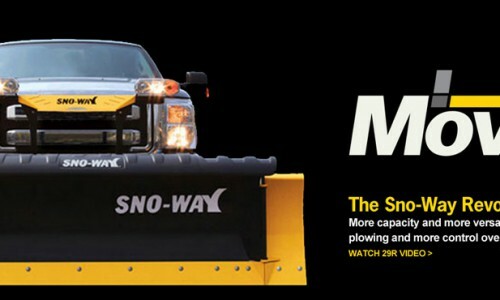 Sno-Way is the leader in designing snow plows with a big appetite for snow. 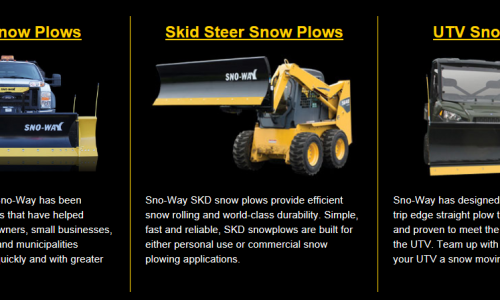 Whether you are seeking a snowplow for your truck, skid steer or UTV, we have a highly engineered snowplow to fit your needs with a variety of options, innovative features, and helpful accessories.